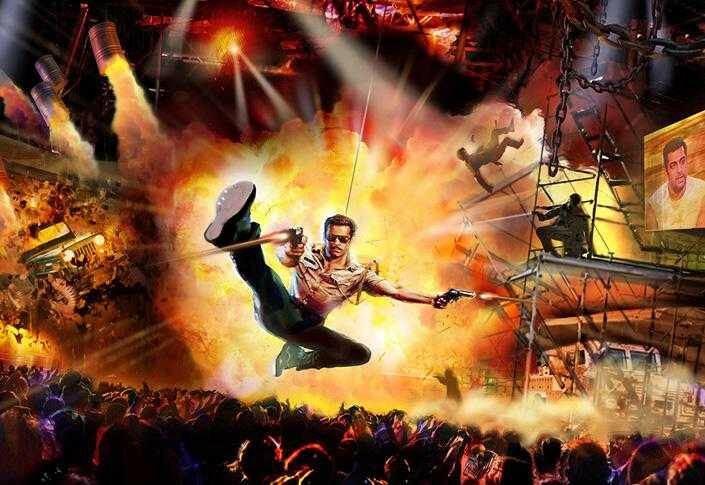 The World’s first Bollywood theme park infused with Adventure, Dance, Comedy, Music, Romance, Flavour and Emotion. Bollywood Parks Dubai is the world’s first of its kind where you can live, learn and experience the kaleidoscopic world of Mumbai’s favourite film industry. The park consists of 5 legendary film industrialized zones inspired by the Bollywood Blockbuster films such as Dabangg, Lagaan, Sholay and your favourite heroes like Krrish and RA.One and many more surprises awaiting for you at the Park. Like never before you will witness the visual splendor of the majestic Rajmahal which is the home of the identical Taj Mahal. Roam the streets of Mumbai Chowk with its famous food, shopping and party spirit. We will also teach you how to create blockbuster movies like Zindagi Na Milegi Dobara which you have the chance to act in aswell. 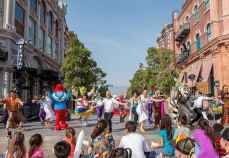 Experience the home of the regions first Broadway-style Broadway musical. Contact Us Today to schedule the most exciting part of your visit. Our friendly representatives are available to assist you. Rustic Ravine – The spirit of rural India comes to life in a wonderful setting. Bollywood Film Studios – Learn how Bollywood creates blockbuster movies like Zindagi NaMilegi Dobara and meet your favourite Bollywood superheroes such as Krrish, and RA.One at the Bollywood Theme Park. No cancelations or refunds are available for online purchases. Credit card purchases will be charged in UAE Dirhams. Entry subject to Park terms & conditions. Full conditions available on request. All guests must adhere to ride restrictions and follow all instructions.